(September 24th, 2015 – Sydney, NS) – All the hard work and dedication of the race teams at Cape Breton Miners Memorial Speedway comes down to one afternoon. This Sunday, September 27th is the season finale for the Sydney oval and features three unique divisions of stock car racing, the NAPA Sportsman Series, Cape Breton Trailer Sales Street Stock and Atlantic Cat/Hewitt Rentals Mini Stock. All three classes will crown season long champions in their final racing events of the season. The action all begins at 2pm. 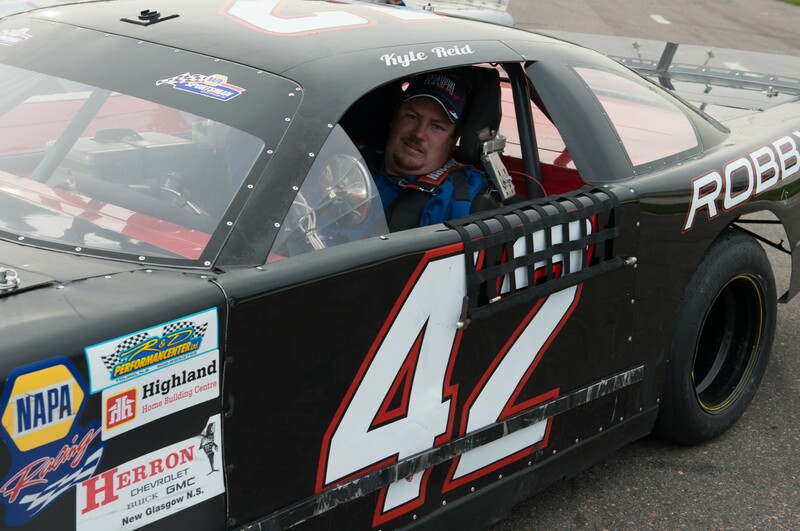 After taking the win in the Highland Home Building Centres 75 at Riverside International Speedway on September 12th, Kyle Reid, who splits time between Fort McMurray, Alberta and Sydney, Nova Scotia, is closing in on his first NAPA Sportsman Series championship. Reid, the brother of 2014 titlist Chris Reid, enters the Gillis Home Hardware 100 with a 17 point advantage on Darren Price (Main-A-Dieu), who is also in search of his first NAPA Sportsman Series championship. 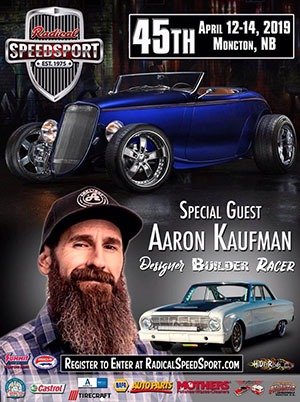 Fans will be treated a feature full of door-to-door and bumper-to-bumper excitement from some of the best Sportsman talent in the area, including Shawn Waterfield (Sydney), Kenny Magliaro (Sydney), John Biron (Sydney), Ross Lewis (Prime Brook), Dave Timmons (Inverness) and Brian MacLeod (Sydney), among others. Joey Rudderham (Marion Bridge) will look to lock up the Rookie of the Year title over an impressive freshman class that has included Lynden MacDougall (Sydney), Trevor King (Port Hastings), James Sample (Antigonish) and Jason Lund (Dutch Brook). In the Cape Breton Trailer Sales Street Stocks, Vance MacDonald (Sydney) will look to cruise towards the championship in the class. The gap now sits at 35 points between the leader and John Halliday (Sydney) heading into the final Saf-way Auto Parts 25 of the season. The division continues to grow with nine cars taking the green flag in the August 29th event, which was won by reigning champion Mike MacLeod (Sydney). The Atlantic Cat/Hewitt Rentals Mini Stock points received a shakeup after the August 29th Ramsay’s Honda 50. Cleveland’s Art MacNamara went to victory lane while point leader JR Lawson (Shubenacadie) was third behind Kody Quinn (Glace Bay). Quinn now finds himself just two points out of the lead with one race to go. Quinn was in a familiar spot last year, battling for the championship with eventual titlist Josh Benac (North Sydney) in the final race. Point leader Lawson and second place Quinn best not look too far in the rearview mirror as Brandon MacMillan (Glace Bay) is only 29 points out of the top spot. One slip by the top two will open the door for MacMillan to make his move. A number of cars from outside the area are expected to compete in the final Ramsay’s Honda 50 of the season, including last year’s Jay’s Chicken and Ribs feature winner Tim Webster (Beaver Bank). Over 20 Mini Stock drivers are expected to drive under the green flag Sunday for their big finale. Admission prices for Sunday’s championship point finale are $20 for adults over the age of 19, $8 for students aged 13 to 18 with free admission to children 12 and under. Pit admission is $25 and restricted to those 18 years and older. Pit gates open for competitors at 9am, with racing beginning at 2pm. For a complete race day schedule and more information pertaining to the September 27th race event, please visit CBMinersMemorialSpeedway.ca. Formerly Island Speedway, Cape Breton Miners Memorial Speedway was re-opened by Bill and Lynne Vasil for racing in July 2014, bringing life to the motorsport and stock car racing scenes on Cape Breton Island. The track features three classes, the NAPA Sportsman, the Cape Breton Trailer Sales Street Stocks, and Atlantic Cat/Hewitt Rental Store Mini Stocks, with five dates throughout the summer of 2015. The track is located at 1162 Grand Lake Road in Sydney, Nova Scotia. For more information, please visit CBMinersMemorialSpeedway.ca or find the track on Facebook, at Facebook.com/CBMinersMemorialSpeedway.